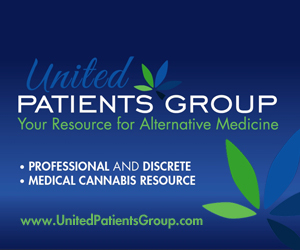 ‘American Drug War 2: Cannabis Destiny,’ the latest documentary from filmmaker Kevin Booth produced in association with UnitedPatientsGroup.com, premieres June 6, 2013 using a “Theaters on Demand” distribution concept that gives companies and individuals the chance to host their own screening. United Patients Group gives five marketing benefits of hosting a premiere. 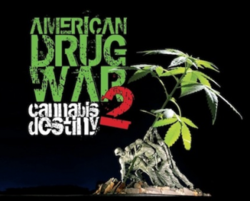 On June 6, 2013, audiences across America will attend a unique screening of American Drug War 2: Cannabis Destiny, the latest documentary from acclaimed filmmaker Kevin Booth. United Patients Group says this is the opportunity of a lifetime for marketers to connect with these highly engaged and invested audiences, and gives five reasons companies and individuals should consider hosting a premiere in their cities. One perk of hosting an event as engaging as a movie premiere is that your audience gives you their complete attention. They are invested in the event. They write it on their calendars, tell friends about it, spend time preparing for it, sit through it and talk about it afterwards. When you are the one hosting it, you can take extra steps to use this engagement to your benefit. Give away tickets in a raffle, provide sponsored goodies to everyone who attends, run a social media campaign around it—there are so many opportunities. The quickest way to be a top-of-mind brand is to build associations in the minds of your customers. Being associated with a cause that is starting to sweep America is a good thing. Head members of several anti-drug-war groups working to end the criminal prosecution of marijuana have already come on board to support this film. Associate your brand with the side fighting for the rights of others and your audience will appreciate your efforts. Give your audience the opportunity to take part in something that breaks them away from their normal routines. This builds excitement around the event and your company. This movie will not only help spread awareness of your company, but it helps spread awareness about America’s longest running war. It educates and inspires change. When you teach your audience something new, they feel empowered and are more likely to share their experience. Treat your potential customers to an exclusive event. They will feel rewarded by your brand and connected to you, and ultimately more likely to reward you in return. American Drug War 2: Cannabis Destiny shows the evolution of marijuana through the ages. It shows how far cannabis has come over the years, and how far it still has to go. 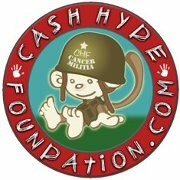 Much of this riveting film tells the emotional story of Cash Hyde, a 2-year-old brain cancer patient whose family did everything in their power to keep him alive—including secretly administering cannabis oil into his feeding tube. This brave little toddler was seen as a medical miracle, until the doctors found out it was cannabis that was keeping him alive. Why were the doctors more willing to believe in miracles than cannabis treatment? The film seeks to answer this question and more as it reveals what happens when Cash’s father no longer had access to cannabis oil, explores why powerful psychological medication is prescribed to the filmmaker’s 11-year-old foster child, and questions the motives behind America’s longest running war. The theatrical distribution of ADW2 is being handled by a new company out of Austin, TX called TUGG.com, using a new concept known as “Theaters on Demand.” Organizations and individuals are encouraged to host a premiere in their cities. For information about how to host an event and a list of cities where the movie is currently booked, visit http://www.tugg.com/titles/american-drug-war-2. For more information about the film or about UnitedPatientsGroup.com, call (415) 524-8099 or visit UnitedPatientsGroup.com.